Haywoods at the Burntwood Wakes Festival raising awareness of child safety with blinds and handing out free safety devices. 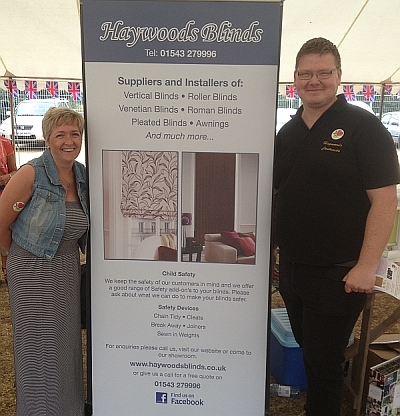 The Haywoods Blinds story began in 1986 when owner Roy Tovey went into business with the aim of manufacturing stylish blinds to such a high quality, and with such a comprehensive level of service, that his customers would want to tell all their friends about them. 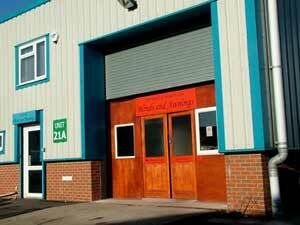 More than 27 years later, Haywoods is going from strength to strength based on that same principle and still services some of their very original clients. 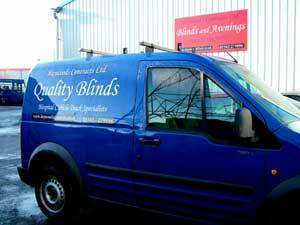 Haywoods now operates from Burntwood in the Midlands with the latest blind-making equipment, a team of professionally trained production, customer service and fitting staff, with a fleet of vans to offer you an experience like no other. 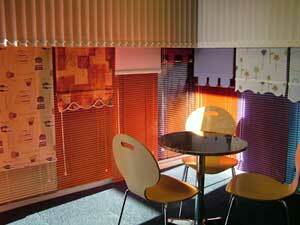 The showroom demonstrates a wide variety of different types of furnishing and there’s no need to book an appointment, just turn up and a member of staff will be happy to talk to you about the different choices and options available to suit you and your family. Haywoods is proud to be an equal opportunities employer.